Sergeant Gary Farmer, LAPD (ret.) "served on the Los Angeles Police Department from 1975 to 2007. His thirty-plus years included assignments in patrol, gangs and detectives, and he worked Wilshire, 77th Division and Hollywood, among others. His son is currently a Los Angeles Police Officer." Sergeant Gary Famer is the author of The Streets Are Blue: True Tales of Service from the Front Lines of the Los Angeles Police Department. 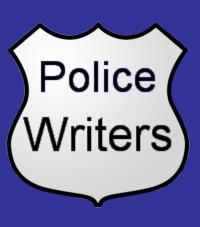 According to the book description of The Streets Are Blue: True Tales of Service from the Front Lines of the Los Angeles Police Department, "In 1869, the police force in Los Angeles went from a voluntary to a paid city police force. Since then, thousands upon thousands of men and women have served on the Los Angeles Police Department. In this book, thirty-four former officers share stories of their experiences in police work in their own words. Of the thirty-four, the first officer came on in 1941 and the last officer retired in 2009, a range of time just short of seventy years. The experiences recounted in this book cover a wide range of assignments and speak to just about any situation a police officer can encounter. The officers were frank, truthful, and open about an occupation met with everything from monotony to split-second life and death decisions. They recounted their thoughts of purpose, duty, and in many instances, valor. Whether rescuing an abused child, confronting armed individuals, managing civil disorder, or losing one of their own, the officers in this book reveal the human element present in all those who serve in law enforcement."